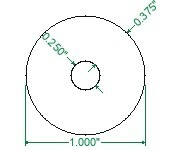 DOM has very little wall variation and no spiraling eccentricity. The tube is formed and welded from strip steel which has very little gauge variation. 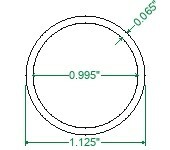 The tube is then cold drawn to size causing the weld seam to virtually disappear. Tubing 10 ga and lighter is made from 1020 grade steel, heavier than 10 ga is made from 1026. 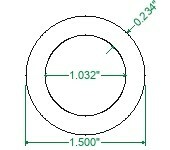 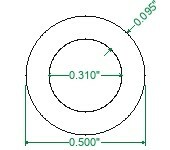 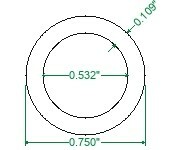 Conforms to ASTM A513 Type 5 (mandrel drawn).